If you are a fan of cookie dough you are going to fall in love with this Edible Chocolate Chip Cookie Dough Recipe! Every time I make cookies the whole family is rushing to the mixing bowl to try to eat raw cookie dough. Obviously eating raw cookie dough is a big “No-No” because of the raw egg in the dough. I have never gotten sick from it myself but, it still makes me worry. To my amazement we can enjoy cookie dough without eggs. I think I have found heaven! No… I am not joking! Pure heaven that comes together in just a few minutes time with no baking needed! 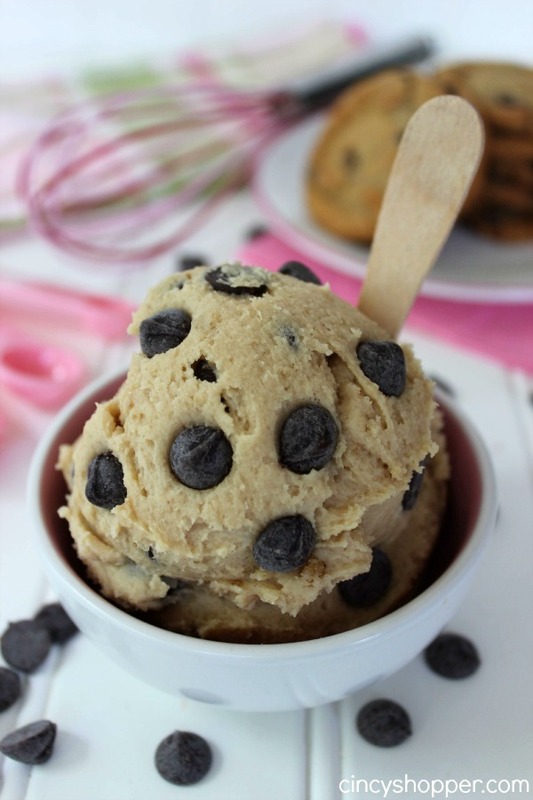 This edible cookie dough is great to eat all by itself or add it to ice cream. I made up a couple batches and tossed them in the freezer so we can have a dessert on the fly. 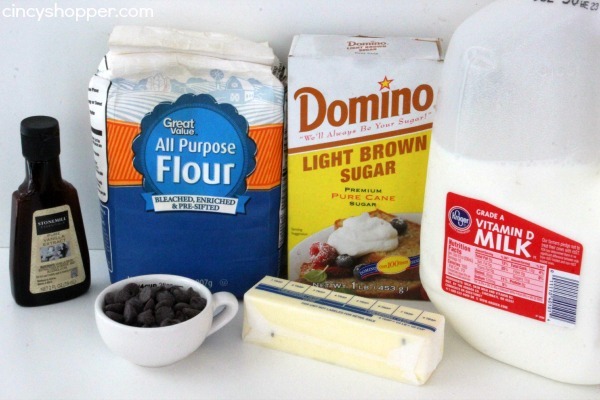 The ingredients needed for this dish of yumminess are flour, brown sugar, butter, milk, vanilla and of course chocolate chips. I had everything already in my kitchen. 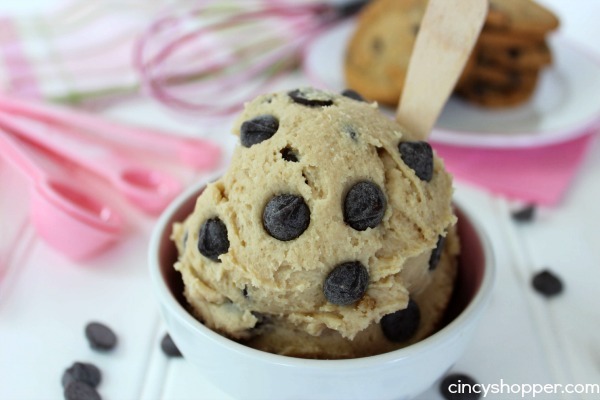 This Edible Chocolate Chip Cookie Dough Recipe was a huge hit with my entire family. I know I will be making many batches. We are having Ice Cream Night this weekend and I have a bag in the freezer to add to our Ice Cream Toppings bar. Yum!!!! So glad I found your post at Motivation Monday linkup. I’ll be trying this soon. :) Also sharing on our facebook page. This looks amazing. Well done with this fantastic recipe. 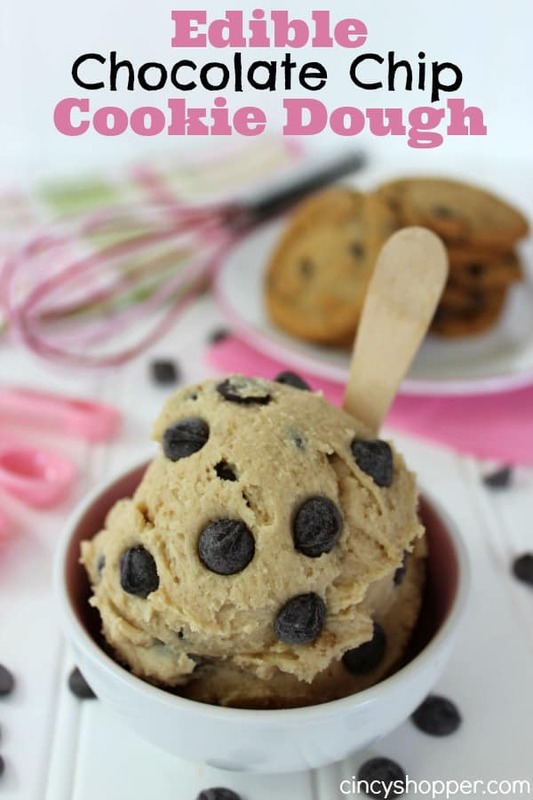 I LOVE LOVE LOVE cookie dough this is going to be a go to treat for me! very delicious as it is egg free, kids friendly too, thanks for sharing with Hearth and soul blog hop, pinning and tweeting it. Thank You for stopping by Inspire Us Tuesdays and leaving some inspiration behind. We would love for you to visit each week and leave some inspiration, find some inspiration, and borrow some of these ideas for yourseflf for the future. What is the reason for heating the flour? Would it work with room temperature flour also? Thanks for sharing!! I burnt the flour too. Stunk the whole house up. Used just room temperature flour the next time. Pretty good. 2/3 cup of flour made the recipe too thin. I used 1 2/3 cup to get it to a doughy consistency. But overall good recipe, tasted great. Can not understand why you’d heat flour in the microwave?? Yes it burned.does anyone know why it says to do this? 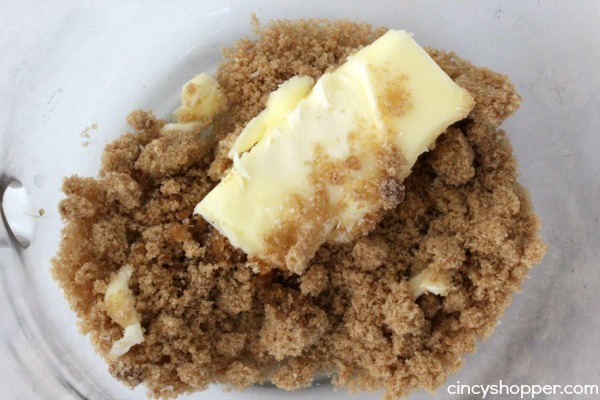 Why do you microwave the flour? That makes no sense. I love everything else about the cookie dough though! !